A sensational performance of music, song and dance celebrating Ol’ Blue Eyes himself. 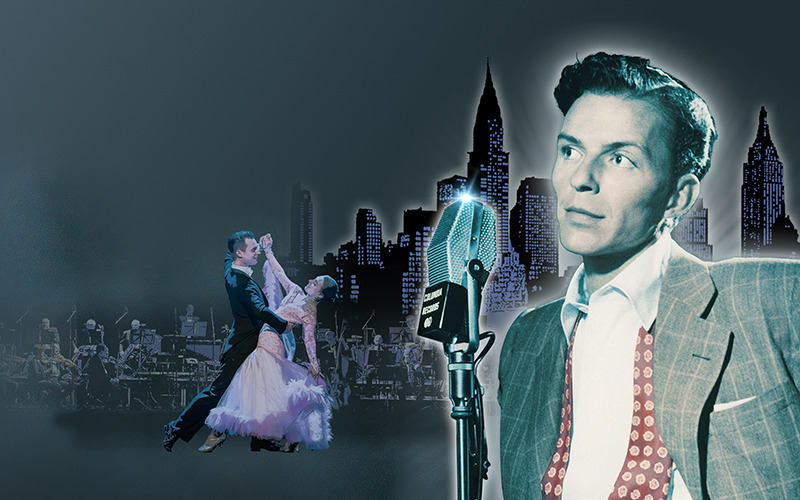 Matt Ford & Victoria Hamilton-Barritt are joined by a fabulous 27-piece show band and ballroom champions Chris & Emma Burrell to perform all of your favourite Sinatra hits. Three years ago, the worldwide celebrations of the centenary of the birth of Frank Sinatra reinforced just how popular and enduring the late, great singer remains. His life was lived in the media spotlight, a true star of stage and screen, whilst his songs were delivered with such unmistakeable style and panache – for our concert, we bring together hit, after hit, after hit including My Way, Come Fly With Me, I’ve Got you Under My Skin, The Lady is a Tramp, Night and Day and Luck be a Lady Tonight plus so many more…. Stepping into the shoes of Frank Sinatra is none other than the exquisite Matt Ford, with his “ smooth chocolatey tones ” transporting you back to the age of swing. He is joined by the sensational Victoria Hamilton – Barritt, who has made a name for herself shining brightly in a number of West End shows such as In the Heights and A Chorus Line. Together, their on-stage this partnership is not to be missed! Our talented special guests are joined by a 27 piece show band under the well-timed baton of the talented Richard Balcombe. The swinging style captured by our very own show band as they bring the music to life is matched only by the glamour of ballroom dancers Emma and Chris Burrell gliding gracefully to the sound of Moon River and The Way You Look Tonight.